The Annual Movin’ for Community Outreach 5k race benefits Tarboro Community Outreach, Edgecombe County's food distribution ministry and men’s and women’s shelter. 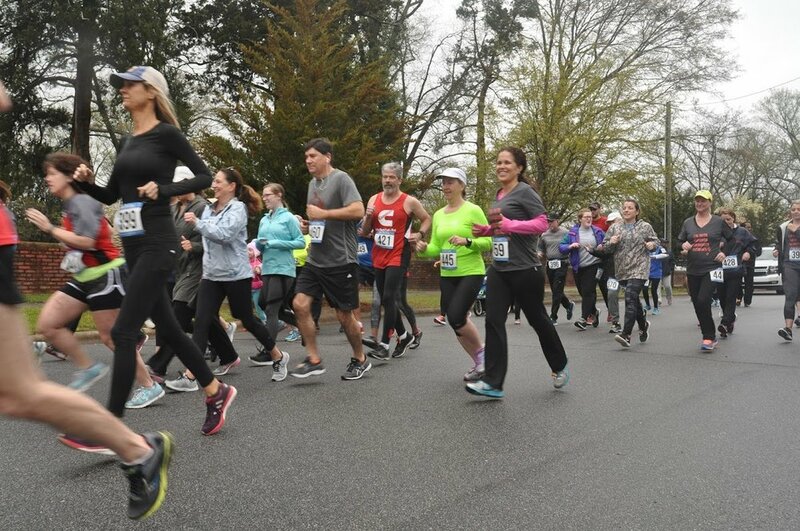 The event is hosted at HMPC each year and features a 5 kilometer walk and run through historic downtown Tarboro. The 5k race is a USATF certified course and is designed for the fitness enthusiast at every level! We provide a great course for the first time runner or a seasoned veteran. Tarboro Community Outreach (TCO) is a non-profit agency that serves needy families and individuals of Edgecombe County, NC. Founded in 1982, TCO gives support to people in need of shelter, food, or clothing. In a region that has been plagued with a number of natural disasters and economic hardships, TCO makes a difference in the lives of many, providing: a shelter, a soup kitchen, a food pantry and clothing. Visit www.tcorun.com for more information. This year, the Sunday School offering goes to support the efforts of Heifer International. Learn more about this non-profit HERE.